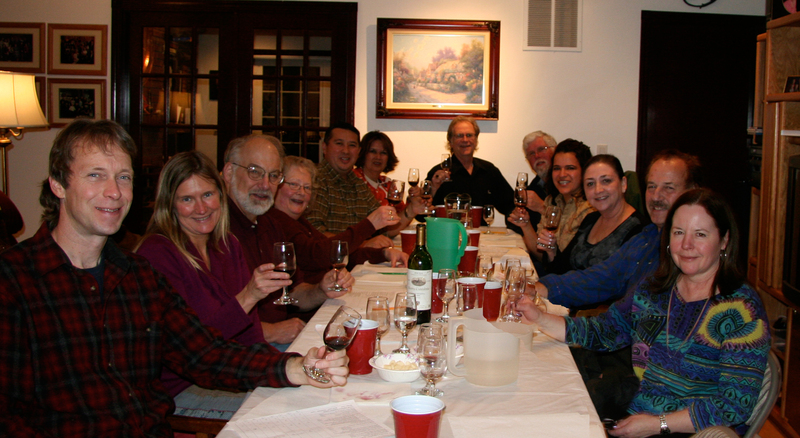 November was the Spanish wine Rioja at Mary & Jerome’s. See Results Here. September was Nebbiolo at Kris and James Rolstad’s. August was Muscat at Jan & Dave Michaelson’s. See Results Here. July was Sangiovese presented by “Gina” aka Pamela. See Results Here. 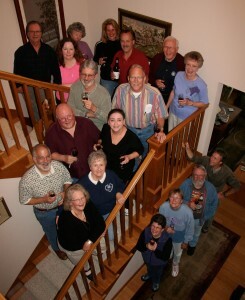 May was Gewurztraminer at Martha & Millard’s. See Results Here. 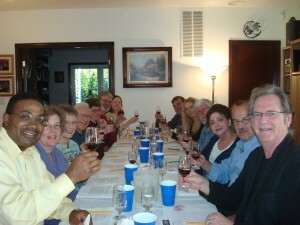 April was French Bordeaux at Katherine & James DuMont’s. See Results here. March was Barbera presented by Ellie at Mary & Jerome’s. See Results Here. 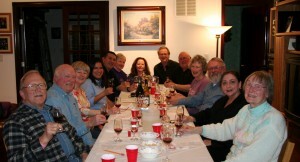 February was Pinot Noir at Mary & Jerome’s. See Results Here.